It’s no secret that marble is an incredibly luxurious and desirable natural stone. It’s stunning beauty and delicate veining have been the catalyst to many great buildings over the years, from the famous Parthenon temple in Athens to the United States supreme court building. But, it is most frequently used in kitchens all across the globe to give a prestigious, modern and iconic look to the home. However, it’s also true that marble requires a lot of TLC, otherwise it may start to deteriorate due to it being a porous stone. Nowadays, people crave the luxury factor that you get with marble, but with the practicality, durability and functionality of a manmade stone. So, this is where quartz comes into the equation. 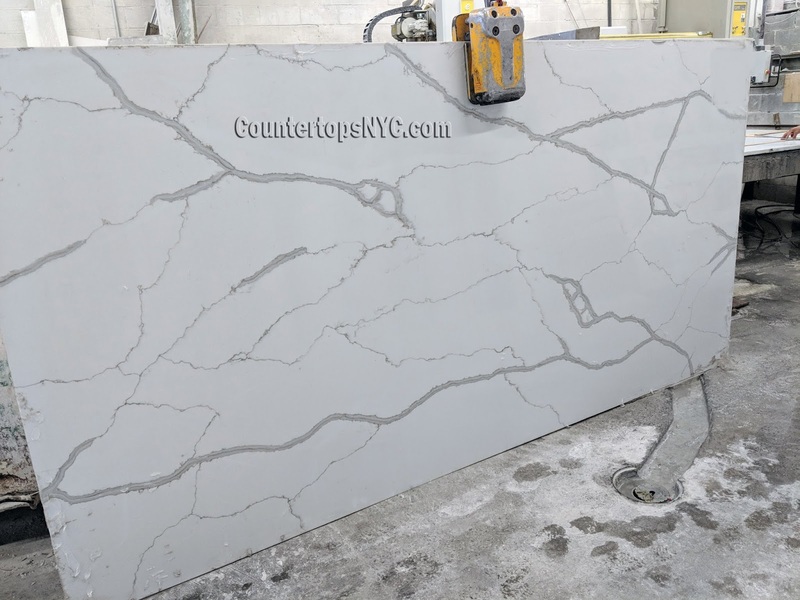 Quartz is a combination of natural minerals and advanced technology to create a stone that looks spectacular but also can be maintained very easily. Although quartz doesn’t naturally possess the appearance of marble, as it is manmade it can be designed to look that way. This is exactly what a lot of the leading quartz companies do to appeal to that specific market. We’re talking about the likes of Caesarstone, Alleanza Quartz, Silestone and Mega Marble. Other than the amazing similarities quartz can have with marble, it also offers brilliant financial benefits. In a society where a very small percentage of people are generating a staggering income, it’s vital that people source things that are more financially-friendly. Now, as marble is a natural stone, its significantly more expensive than a manmade stone such as quartz. But, you’ll still be able to achieve that marble look you’ve been desiring. 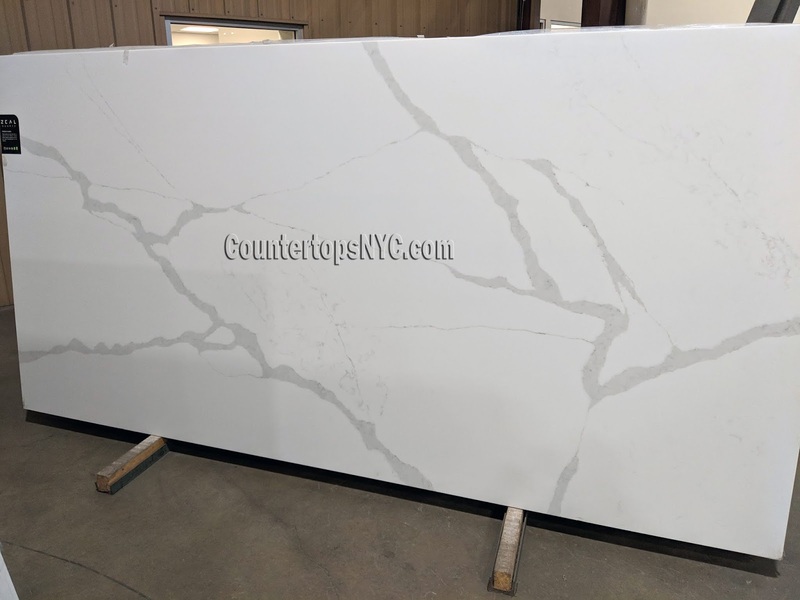 You see, those companies that we’ve touched on above offer a wide variety of different quartz countertops that mimic that of their marble counterparts. 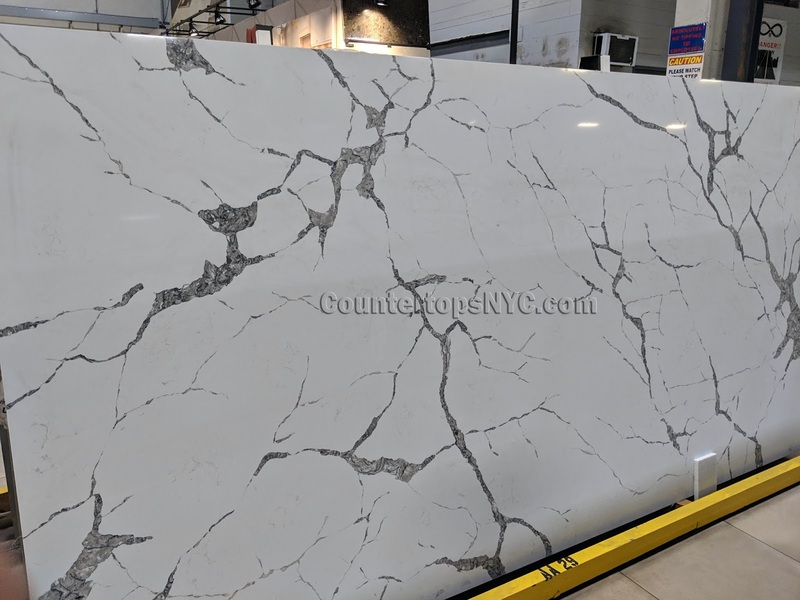 If we take the mesmerizing Carrara marble for example; there is now a quartz version which is known as Carrara Mega Marble, and it still delivers the grey appearance with the linear veins running through it. 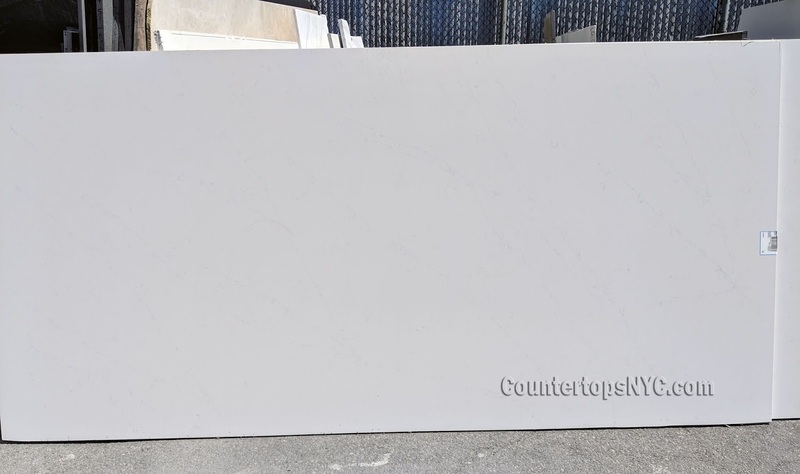 Another superb example is the elegant Calacatta marble, and again this has been designed with quartz too. 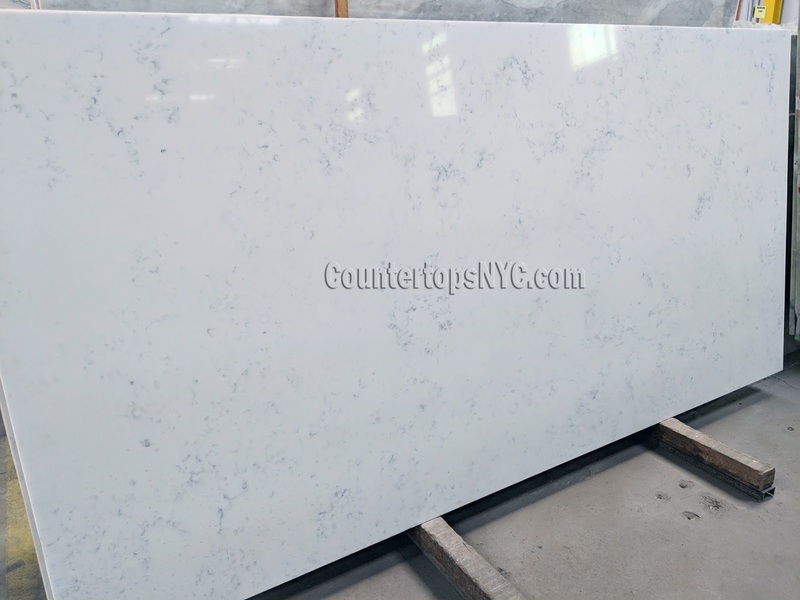 Many people do say that Carrara and Calcatta are very similar, but they do offer some distinct differences. The main one being the patterning on the Calcatta is a lot more spontaneous, thick and apparent compared to Carrara. Although, they are both beautiful and both would look great in your kitchen depending on your personal style. 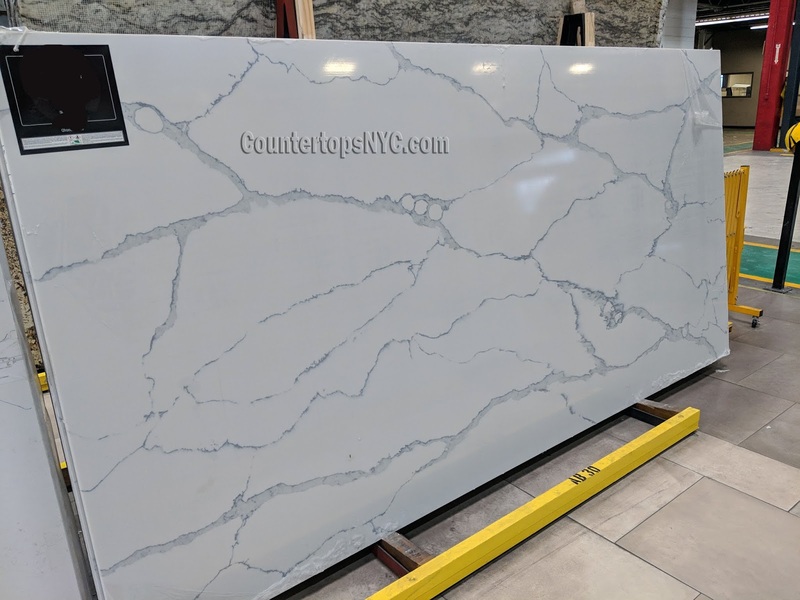 Ultimately, there are plenty more quartz countertops that look like marble, and if you search around you’ll discover one that really catches your eye. But, the main thing is that quartz offers specific qualities that marble just cannot. It is more affordable, a lot easier to maintain, is durable and won’t be as vulnerable to the stresses of day to day use. Yes, marble is an iconic natural stone that is often unrivalled, but quartz can give you the same style and the average person won’t even be able to tell the difference. So, if you’re struggling to find a countertop to suit all of your needs, then why not consider modern quartz?